Patrick Dix, a senior at Penn State, has used both in-person and tech-based therapy to treat and manage his anxiety disorder. For most freshmen entering Penn State, transitioning to college life can be a challenge. But for Patrick Dix, it was nearly debilitating. Dix, now a senior double majoring in classics and ancient Mediterranean studies and history, was diagnosed with an anxiety disorder during his senior year of high school, an illness that made his first few weeks at Penn State difficult. "The first day was really rough," Dix said. "I actually almost skipped my first class in college because of my anxiety." In addition to struggling with classes, Dix found college social life overwhelming, and his anxiety nearly prevented him from enjoying what he loves most about Penn State: the football program. "I’ve been a Penn State football fan since I was born," Dix said. "But the week of the first game I was freaking out because I had to go from East Halls to Beaver Stadium, and that was so far from the comfort zone I had built." Three years later, with the help of therapy, Dix has learned to manage his anxiety and excel as a dean’s list student, but there are many other students who don’t fare so well. According to the 2014 Center for Collegiate Mental Health Annual Report, which compiled data from 140 college and university counseling centers, including Penn State’s Counseling and Psychological Services (CAPS), anxiety was a concern in 55.1 percent of student patients. With anxiety afflicting such high numbers at younger ages, researchers in the field are scrambling to find a solution for young anxiety sufferers. According to Michelle Newman, professor of psychology at Penn State﻿, technology may hold the answer. 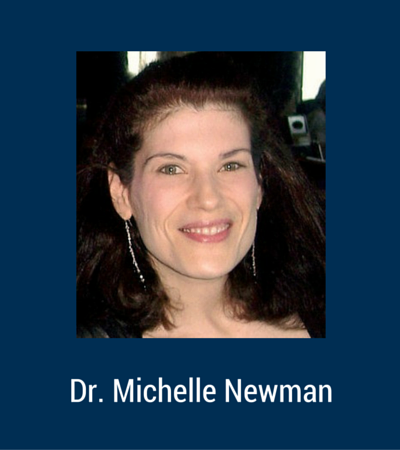 Since the early 1990s, Newman has been at the forefront of research on how such technology as computers and mobile applications could be used to prevent and treat anxiety. These tech-based programs are typically rooted in cognitive behavioral therapy — an effective form of treatment that challenges how anxiety patients think in response to situations. Through either a mobile or online platform, programs offer lessons ranging from meditation to mood journaling, as well as situational walkthroughs where patients can practice techniques. In her most recent publication, Newman tested the effectiveness of tech-based programs on undergraduate students in India. Her findings show that when used, these programs provide easily accessible and affordable help. "When they use them, they're helpful," Newman said. "I think the challenge is getting people to not just download these programs but actually make use of them in an ongoing way. What we've been trying to work on is moving toward the goal of figuring out how to get people hooked enough that they'll continue to use them." Part of the challenge in keeping patients motivated in self-help programs is the lack of human contact. According to Newman, many of these tech-based programs would benefit from implementing a "coach" - a counselor with whom patients could interact with in real time. "Coaches have done what they call 10-minute check-ins where they call a patient or email them to find out how they're doing," Newman said. "People have also done things like have the patient do specific types of homework and email it to their coaches." Newman also said these programs can provide help to a greater number of people who may not seek traditional therapy on their own. "There's emerging data that's actually showing two things: One is that the sort of person who likes to talk in-person may be different than the person who's going to use the app to help themselves," Newman said. "There's also research that shows using apps like this actually opens the door for people who might be resistant to regular psychotherapy to go seek therapists." 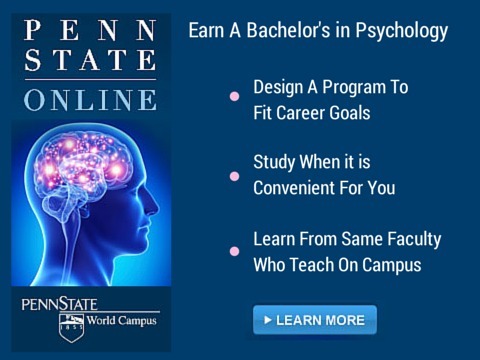 For students at Penn State’s University Park campus who prefer in-person therapy, free services are offered through CAPS, located on the fifth floor of the on-campus Student Health Center. According to Brett Scofield, assistant director of research and technology and a clinician at CAPS, the center is expanding its services through such technology as Adobe Connect, which will make information more accessible to a greater number of people. "We're in the process of developing online psychoeducational programs for students, staff and parents," Scofield said. Each semester, CAPS staff visit numerous classes to provide information on common mental health problems. By making these classes available online, CAPS can reach even more students. "With the online programs, we could just direct them to it and they can get their answers right away," Scofield said. In addition to the new online programs, a number of CAPS psychologists, including Natalie Hernandez DePalma, currently use technology to enhance in-person treatment. "I often direct clients to use apps during our sessions that might be helpful for mood tracking as well as managing symptoms," Hernandez DePalma said. "Some other ways I use technology are by having clients set up call lists of important resources in their phones if they need support and create albums of pictures that help increase their relaxation and mindfulness skills." Although embracing technology can connect more patients to the help they need, tech-based programs are not without limitations. "In general, phone therapy or any kind of distance treatment is an issue if you're a therapist who's licensed to practice in one state, but you’re treating somebody who lives in another," Newman said. "That's not appropriate in terms of our current ethics and state licensure rules." Both Scofield and Newman agree that in some cases, patients may be too high-risk to safely use self-help programs alone, a challenge that Newman is currently exploring in her research through use of algorithms. "One of the things we're also interested in doing with the texts is using machine learning to try to figure out if there are certain phrases and words that indicate a person needs more attention compared to others," Newman said. Beyond the mobile programs, Newman also hopes to use artificial intelligence and machine learning to make anxiety sufferers more aware of their daily stress levels. "I just had a conversation yesterday with two people in health and human development who are interested in working on a wearable device that can determine - maybe even before the person is aware - when they have shifted from being calm to being stressed." For someone living with anxiety like Dix, more research into new technologies means more treatment options for himself and the thousands of others living with the disorder. "Anxiety can strike at any time, and you need something to help," Dix said. "So any kind of research into this mental disorder is something I support because it’s as debilitating as any physical illness out there."